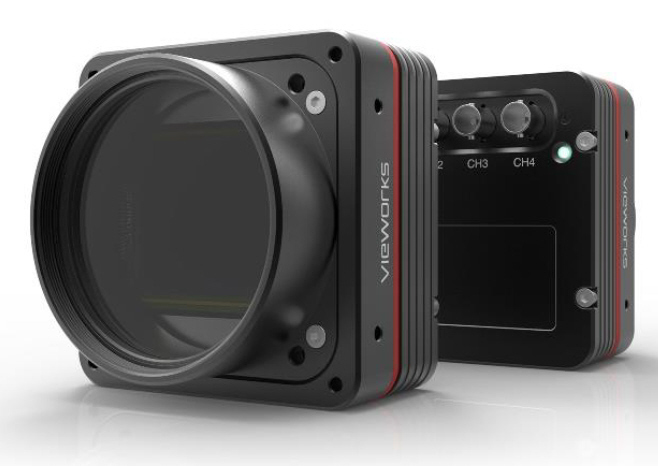 The Vieworks VC-90MX camera has a 90 megapixel CMOS image sensor (Vieworks Proprietary Design) running 26 FPS, with a rolling electronic shutter. The VC-90MX is ideal for applications requiring precision detail in a wide FOV at real-time video rates. VC-90MX pricing and performance make inspecting silicon wafers for defects highly desirable using the 3.5u pixel to give high MTF (142.9 lp/mm Nyquest sampling limit) and real-time video rates. The VC-90MX digital camera measures 77 x 77 x 94 mm in size and weighs only 530 grams. The VC-90MX cameras are immediately available. Vision Systems Technology is the Master Distributor for Vieworks cameras in North America. Free demo units of the VC-90MX cameras can be arranged by contacting Vision Systems Technology.